Common area with pool table, 50 inch plasma TV with Nintendo Wii; sports and movies screened regularly. book swap, bar games, tourist notice board, free to use computers and security lockers. Chill out balcony overlooking the Siem Reap river; perfect for lounging and unwinding. Tourist information on Angkor tours, adventure activities, local sights, spa recommendations and local market shopping advice within Siem Reap. All bus, boat, visa, flight booking available. We have many local and regional guide books and will happily lend you one of our well thumbed Angkor Guide books during your stay with us! We provide complimentary bottled water daily, daily housekeeping service, all towels and linen, local maps and guidebooks in rooms. Please note our double rooms with shared bathrooms have sized beds and are FAN ONLY. All en suite rooms have fan and air conditioning. All rooms are non smoking; communal smoking areas are provided. Our very popular bar and restaurant offers both Asian and Western food. Our burgers are rumoured to be the best in Siem Reap, many vegetarian options available! All this AND we offer a free pick up too; please contact us for details! We are located on the East River Road opposite the Royal Gardens and Royal Palace, just north of National Road 6. 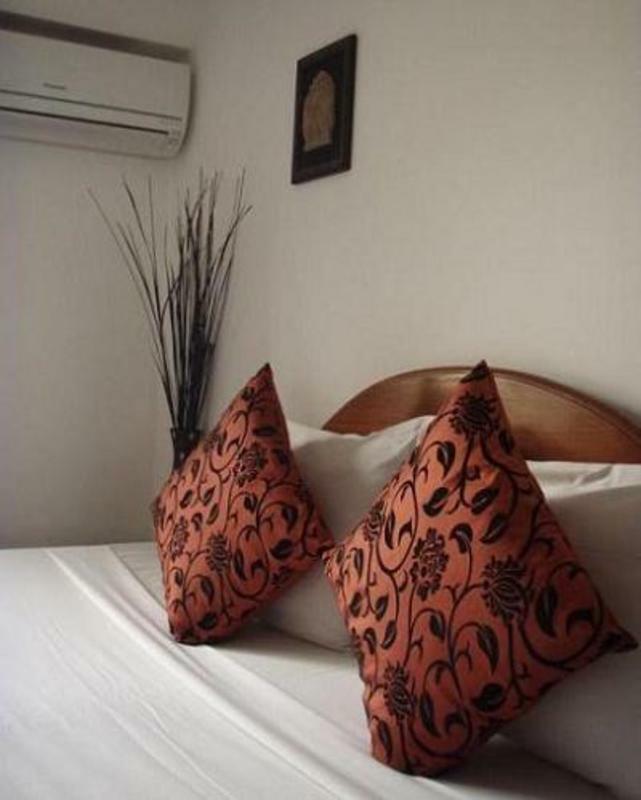 We are within walking distance of all Siem Reap town attractions whilst being only 10 minutes from Angkor Wat. We can organise for a taxi to be waiting for you at Poipet border if you are travelling overland from Thailand, at the Phnom Penh airport or any Phnom Penh guesthouse (please contact us for more details). If you have any problems getting to us once you arrive in Siem Reap then just give us a call on +855 (0)17 814 011 or our reception number and we will send a driver to you straight away. Please email us in advance if you are travelling overland from Bangkok/Poipet so we can send you our indispensable guide to crossing the border without falling prey to any of the tourist traps we hear about all too frequently from our guests. We will also provide you with more information on getting to us once you arrive in Siem Reap.